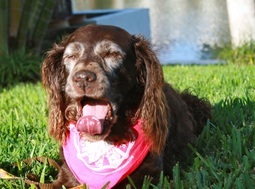 Boykin Spaniel Rescue, Inc. - Dedicated to the rescue, rehoming and rehabilitation of at-risk, purebred Boykin Spaniels. 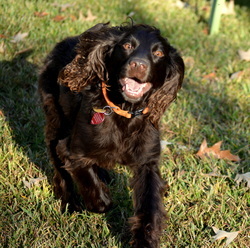 Boykin Spaniel Rescue, Inc. is dedicated to the rescue, rehabilitation and rehoming of at-risk, purebred, Boykin Spaniels. 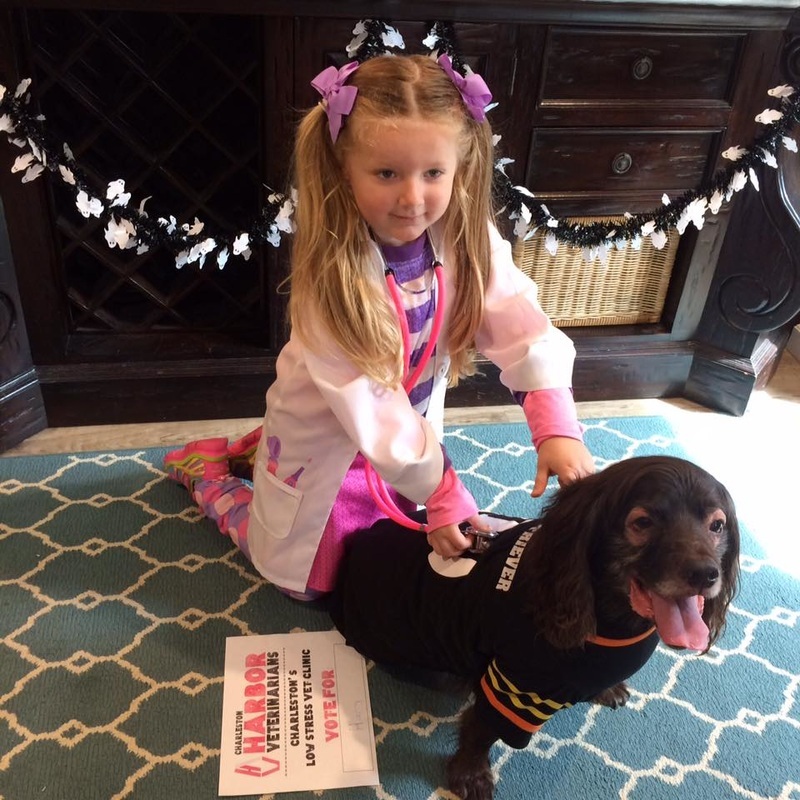 Many thanks to Carolina Brown Apparel for designing this adorable tee on the behalf of Boykin Spaniel Rescue, Inc. We appreciate you thinking of us! Portions of the proceeds will go to BSR and the Boykin Spaniel Foundation. Look great and do some good! Rescue Success Story of the Week! Permanent Foster Care ProgramWhere do the dogs come from? Some are strays, some are found in shelters. And still others are owner surrenders. 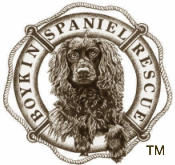 We are fortunate to have the support of the Boykin community, so that we can care for every little brown dog that needs us. 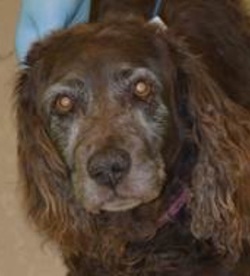 If you need to rehome your dog, or are aware of an at-risk Boykin Spaniel, click here. BSR is fortunate to have over 300 volunteers, many of whom are incredibly knowledgeable and dedicated to the rehabilitation of our dogs. Dogs are evaluated for a minimum of two (2) weeks. This process includes evaluation for temperament, level of training and special skills. If the dog requires medical care and rehabilitation, the dog can remain in our care for months, until such time that it is made available for adoption. We strive to allow each of our dogs to "Maximize their Potential". To learn more, click here. Once a dog is made available for adoption, our volunteer's role is to evaluate each dog and then to place the dog in their forever home. 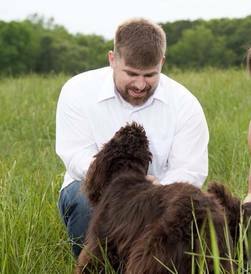 Our ultimate goal is that each dog and family is truly a forever match. To learn more about adopting from BSR, click here. BSR's PFC Program allows us to provide long-term care for dogs who, for health and sometimes behavioral reasons, are not adoptable. Each dog lives in a home of their own, with their foster families, and are supported by BSR, and generous donors, for the rest of their lives. To read about our PFC's, click here. Many of the dogs which come in to BSR's care require extensive medical care and rehabilitation. Some do well enough that they are adopted; others remain in our PFC Program for the rest of their lives. Please follow along as our fosters keep us up-to-date on their progress! Click here for more! We are so very grateful to all the volunteers who have dedicated thousands of hours to rescue, rehabilitate and find forever homes for hundreds of dogs that have been in BSR's care. 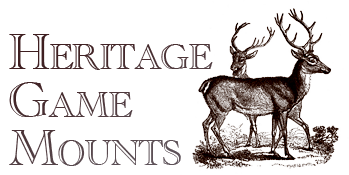 Click here to read some of the success stories. ​If you would like to see the dogs who have been adopted this year, click here. 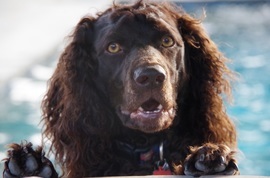 Boykin Spaniel Rescue, Inc. is aware of new cases of the H3N2 in the Southeast. We are recommending that all fosters and transporters speak with their veterinarian and take their veterinarians recommendations prior to transporting and/or fostering a dog. In many/most cases, BSR has very little background on the dogs coming into care so precaution should be taken for other dogs currently in the home. 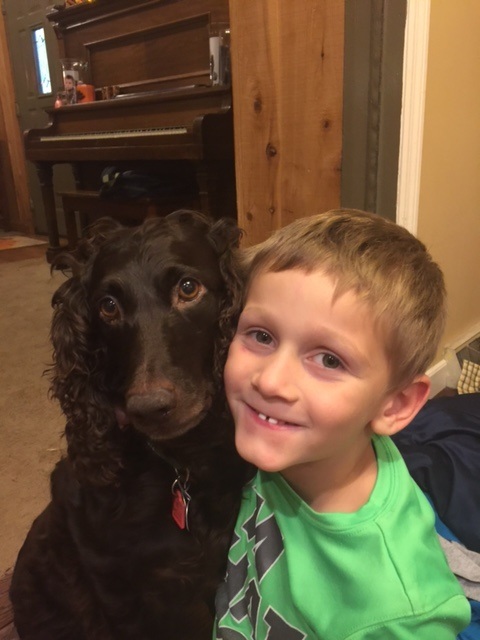 Want to know more about Boykin Spaniel Rescue, Inc.? To view a short video, click here.